What were we made for? To know God. What aim should we have in life? To know God. What is the eternal life that Jesus gives? 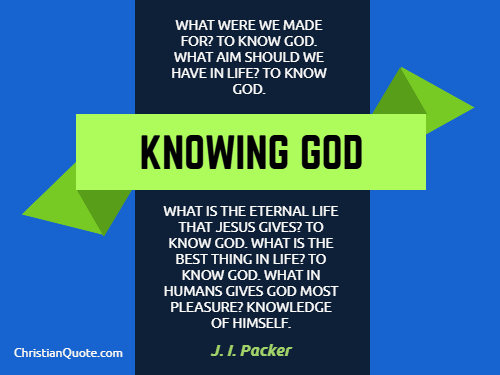 To know God. What is the best thing in life? To know God. What in humans gives God most pleasure? Knowledge of Himself.